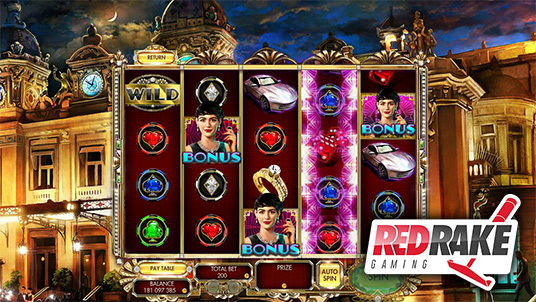 Red Rake Gaming wanted to highlight the most characteristic aspects of Montecarlo Casino in this spectacular video slot machine, from the carefully created background graphics showing the spectacular façade and interior of the Casino to characteristics so common to the gaming world such as “Blackjack” which will appear through a mini game, or the well-known “Double or Nothing” where players can risk their bet and manage to obtain lots more prizes. All of this also comes through an incredible rain of Wilds which will lead to the free spins phase and maintain the player´s excitement at all times. With this new video slot machine we can confirm that Red Rake Gaming continues to surprise with each new release and we are certain that it will continue to do so in the future.